If you are not using Pinterest you are missing out. I love it and it’s so useful and inspirational that I don’t know how I did without it. Since I’ve been pestering my family, my friends and complete strangers to use it, I thought I’d write you a quick tutorial. First, if you don’t know, Pinterest is basically a virtual pinboard. 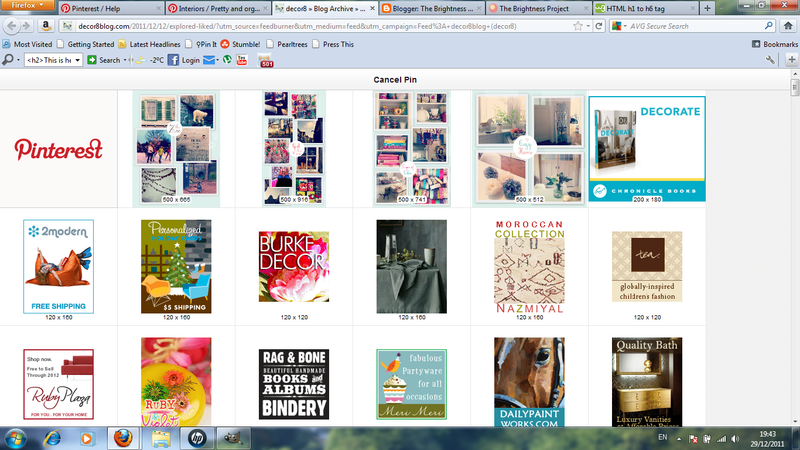 You ‘pin’ the images (websites etc) and stick them in one of your boards. You can fill your board with anything you like, for instance I have a Tattoo Board where I pin images of lovely tattoos. I pin tutorials in my, you guessed it, Tutorial board and lots more. 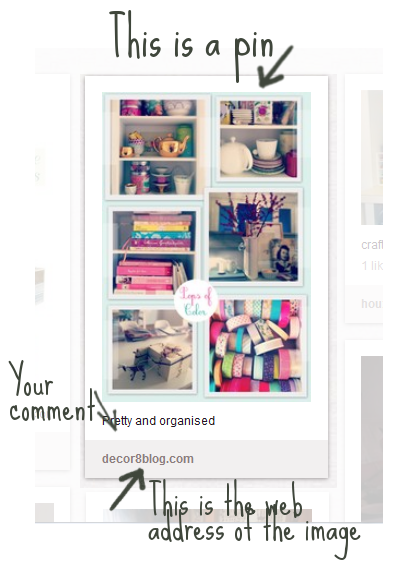 It is a brilliant way to share decorating tips – you and your friends can add and comment on your pins- and debate over sofas or colour schemes. It’s a fantastic way to save links, how-to’s and things to save to read later and it’s very simple. Your “Pin It” button will stay in your toolbar until you want it. When you are browsing the web and you see something you want to pin, just click “Pin it” and you will see a screen like this which shows all the pictures on the web page you are on. 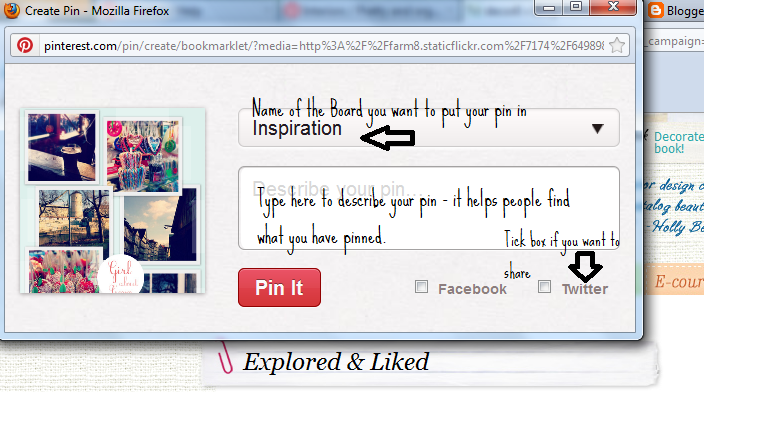 Choose which picture you want by clicking on the “Pin This” button which will appear. The pin will be in your board! The location of the picture you choose will automatically be saved so you can always find the website. Pinterest is currently invite only – which means, obviously, you must have an invite. Pinterest users can give invites to anyone and you can also just ask to join on the Pinterest site. I have invites left if you want to ask me – JOIN! YOU KNOW YOU WANT TO! If you are a pinterest user find me at sjmakes – I’d love for you to say hello! Stay tuned for more in my series of Pinterest Tutorials! This entry was posted in Blogging and tagged Pinterest, tutorial. Thanks for sharing the above info. I have allot of "likes" but didn't have a clue how to categorize them or do the boards.